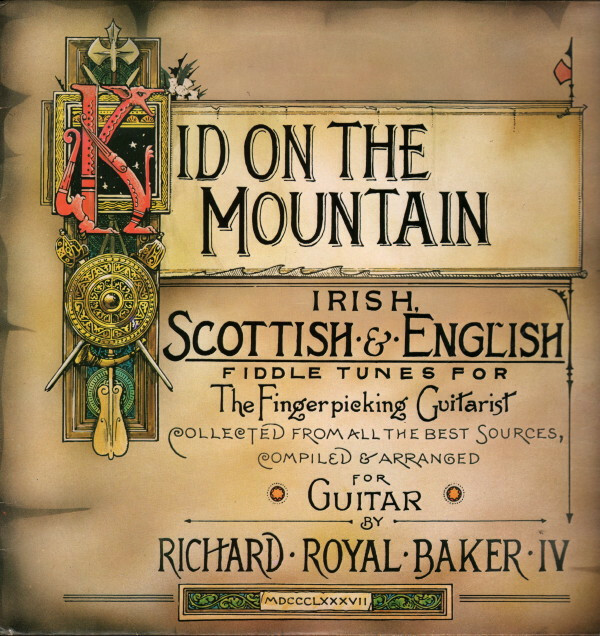 Long before the current boom of interest in Celtic music fostered a generation of aspiring Celtic guitarists, Duck Baker recorded KID ON THE MOUNTAIN, which remained the only solo guitar recording of Irish and Scottish music for over a decade. A familiar figure at Irish sessions around London, where he lived in the late 1970s, Duck applied his considerable arranging talents to the music he heard around him, extending the American fingerpicking vocabulary as he delved into the roots of Celtic music. Duck’s complex arrangements strive to maintain not only the melodic elegance of Irish music but also its drive and passion. Considered a classic by guitar aficionados since its original issue in 1980, Kid on the Mountain remains a high point in the career of one of the most important contemporary fingerstylists. Also included as bonus tracks are selections from the anthologies IRISH REELS,JIGS, HORNPIPES & AIRS and CONTEMPORARY GUITAR WORKSHOP and an instrumental track from Duck’s solo album KING OF BONGO BONG.